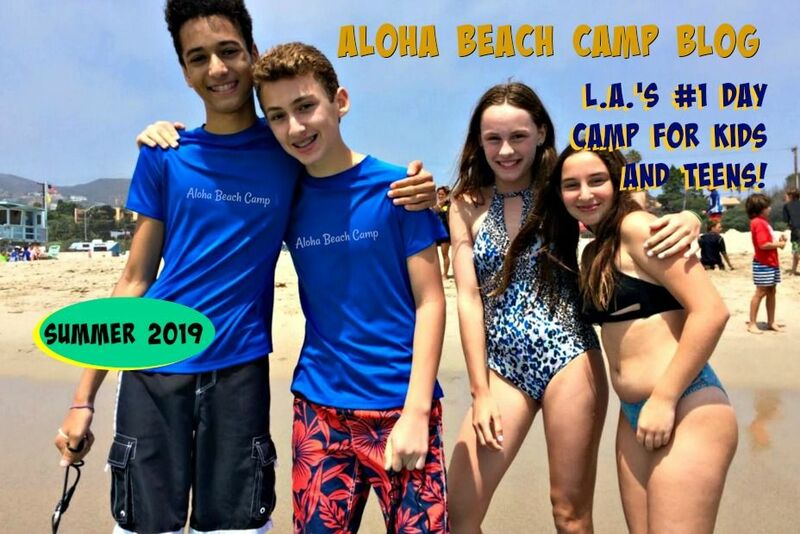 Aloha Beach Camp's High Action Camp is one of L.A.'s more popular programs for older kids and teens who've outgrown the typical day camps and want a more exciting camp experience. 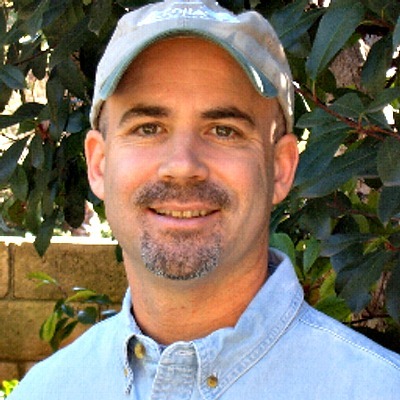 After all, surfing, jet skiing and tubing are often more appealing to older kids than drama, arts and crafts, archery and similar games and activities common to traditional day camps. 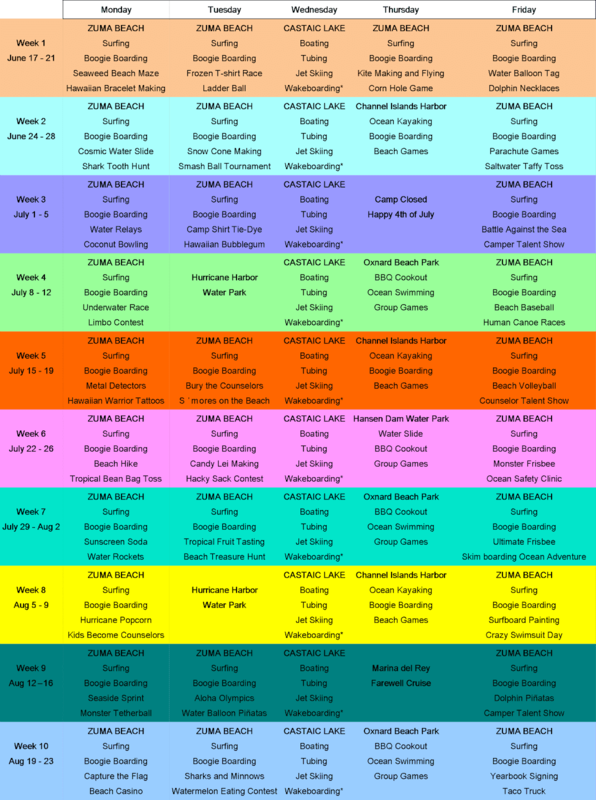 Since you can pick and choose your own enrollment schedule here at Aloha -- even choosing just a single day of camp if you'd like -- we've published an activity schedule outlining all the activities we're doing each day for summer 2019.
each have their own daily calendars, too, which we anticipate finalizing and posting here within a few weeks.